Most of you know that I am a big fan of wish making. 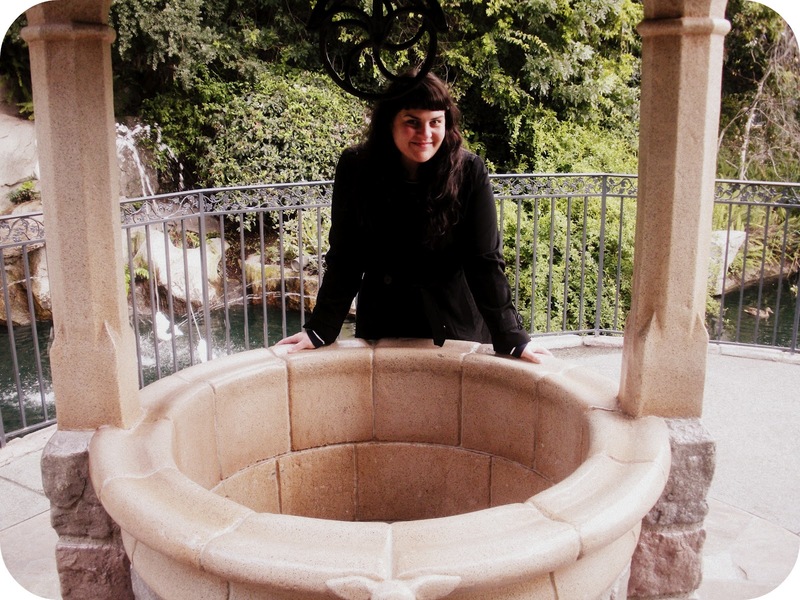 My favorite place to make wishes is at Snow White's wishing well at Disneyland. Daniel asked me to marry him there. He asked me after I made my wish (I wished that we could be together always). Daniel makes so many of my wishes come true. I never officially wished for a baby but I do feel like having our Baby Roscoe was a wish come true for us. Today Baby Roscoe is four months old. In many ways this has been the hardest four months of our marriage but it has also been filled with happy moments. I had a some time to myself today (while having my teeth cleaned) to think about how happy I am and how much I have to be thankful for. I feel so lucky to have such an amazing husband, a beautiful son, and a sassy little puppy to take care of. I am thankful for all that I have in my life. Horray for wishes and dreams come true. Lauren wished that she could meet Ariel at Disneyland and we met her right there at YOUR wishing well! I stood there and thought of you! Happy clean teeth - you take the free time where you can now, right!? That sweet little Lauren must have been so happy to have her wish come true. Disneyland is a magical place. We can't wait to take Roscoe there for his first visit. We have his Mickey ears ready to go.